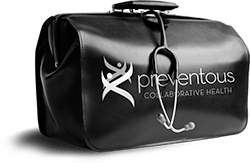 Preventous medical and lifestyle services are an affordable solution for lifelong health. But did you know you can further reduce the cost of these services quickly and easily? Many of the services we provide qualify for Canada Revenue Agency’s Medical Expense Tax Credit. For more information on this tax credit please visit Canada Revenue’s website or talk to your professional financial advisor. Many clients are also able to claim these expenses under health spending accounts or Personal Health Services plans. We have an exclusive alliance with EFI Financial Associates to provide you tax-saving solutions to your current and ongoing health care needs. EFI shares sound financial strategies with you so you can make the most of your money and minimize your health care costs, now and in the future. Discover how you can ensure a lifetime of the best health care in the most tax-efficient manner.